We build bridges to Russia! Would you like to explore new markets and take advantage of the possibilities offered by a dynamically developing Russian economy? Funds of European Cooperation will help you to explore all possibilities offered on the Russian market. We will be your helping partner while introducing and establishing your products and services on the Russian market. • providing you with important information, news, translations etc..
IV. Supporting Russian companies and organisations in evaluating their foreign trade activities. You will experience a boost in sales and earnings after successfully establishing your products and services on the Russian market. • establishing your distribution network, introducing your products to the Russian market successfully! • finding new and cheap sources for supply! • finding new cooperation possibilities! • As you do not know yet if your business activities in Russia are going to be successful, we would advize you to hand over work and responsibilies to our team of experts during the difficult launching period. We will help you to save money and to avoid staff shortage by supporting your business activities in Russia. 1. Good knowledge of market environments and experience in intercultural communcation are very important for business success in Russia. 2.We will help you to save time and money. 3. We will answer all questions and solve all problems in connection with your Russian business activities. 4. We do not offer standardized solutions but we will deal with all questions and problems individually. 5. We will be able to keep close contact to your customers due to our partner network in Russia. Our team of experts consists of highly qualified, professional economists experienced in intercultural communication. We mainly work in all countries of the former Russian Union and Western Europe. 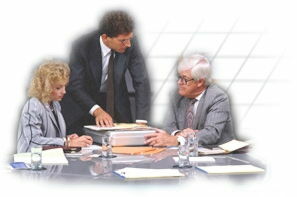 Our business relations are based on successful and good cooperation with our customers and business partners. We will help you to completely explore the Russian market. We are supported by business partners offering exellent knowledge of different market sectors and countries. Here you will find our Partners. FEC Trading and Consulting- speed up your Russian business!